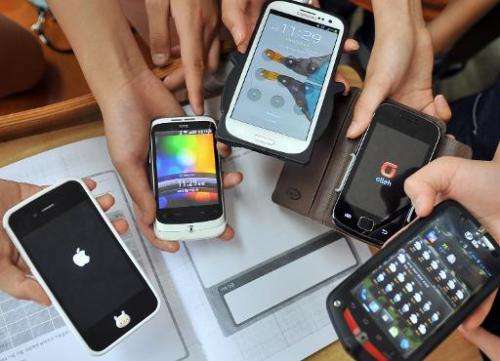 The boom in smartphones among often careless users has made happy hunting for hackers, whose virus attacks and hijacking of unprotected mobiles are multiplying, experts warn. 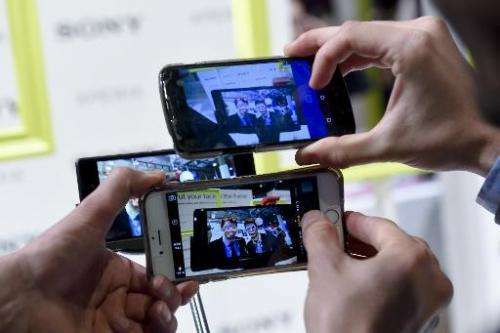 Security analysts and companies at this week's Mobile World Congress, a top wireless telecom fair in Barcelona, Spain, said phone makers and users must be on guard to stop hackers getting into your pocket. "With smartphones we are going through what we went through 15 years ago with personal computers," said Tanguy de Coatpont, head of the French branch of international anti-virus firm Kaspersky Lab. "There are more and more security problems because with their processing power they are really like little computers, permanently connected." Kaspersky's most recent study showed that 28 percent of users were ignorant of the risks of cyberattack on their smartphones. Just over a quarter of users in that study said they knew of the risk but were not worried about it. Analysts said that attitude had fuelled attacks on smartphones by hackers over the past two years. "We are seeing an increase in volume (of attacks) of sometimes more than 400 percent quarter on quarter," said David Grout, southern Europe director of Intel Security, a global software protection firm. That is small compared to the scale of attacks on personal computer operating systems such as Windows, but "it is a bigger and bigger risk," he said. "Hackers have to hand lots of personal information contained in a smartphone, particularly financial details." James Lyne, global head of security research at anti-virus firm Sophos, said phone makers must do more to warn customers of the risks of attack on their unencrypted phones. Most consumer smartphones are not designed primarily with security in mind, with the exception of certain specialised models. 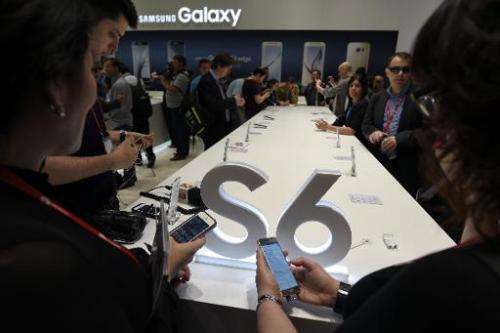 Launching its new flagship smartphone Galaxy S6 smartphone in Barcelona, South Korean giant Samsung vaunted its sleek design, wide-angle camera and wireless charger, but said little about anti-virus protection. "The mobile market is driven by innovation and focused on adding marketable features rather than security and privacy concerns," Lyne told a gathering at the congress. Other lower-profile products stress security, however, such as the Blackphone, whose second-generation model was unveiled in Barcelona. Selling for more than $600 (543 euros), the Blackphone 2 by US company Silent Circle promises encrypted calls with protection against cyberattacks and spying by intelligence agencies. It is competing with phone maker Blackberry for business clients, hoping to lure companies who fear their employees' unsecured phones are a security risk. Tech security experts say smartphone users should install antivirus programmes on their phones. French company CS Communication et Systemes presented at the Barcelona congress a protection device in the form of a miniature card that is inserted into the handset. Most cyberattacks nowadays target Android, the widespread smartphone operating system developed by US Internet giant Google, said de Coatpont. "It is a very open platform that has 80 percent of the market." Apple's iOS system, used on iPhones, is generally considered more secure but is not immune from attack either. Sean Sullivan, a researcher at anti-virus and online security firm F-Secure, said hackers successfully attacked a gay dating iPhone application in Britain. The hackers hoped that users would be reluctant to report the attack since the attack obtained sensitive information about their sexuality, Sullivan said. He added that the smartphone world may need a wake-up call to boost security—something comparable to Cryptolocker, Russian "ransomware" that struck in 2013. Ransomware, which seizes control of computers and demands money to unblock users' data, is now targeting smartphones too, Sullivan said. ""There are more and more security problems because with their processing power they are really like little computers, permanently connected." Really???? Hook a full size screen and a real keyboard to a modern one and you have more computing capability than many of the lower priced desktops. One thing a feature phone is good for is you don't have to worry about getting hacked. That's why I use one. True it won't do all the fancy stuff a smart phone will but I consider smart phone screens to be too small to really enjoy watching a movie on or do any real work and I really don't play the games. Yes, I know many people do manage to do work on them but they are just too small to see for me comfortably even with reading glasses.